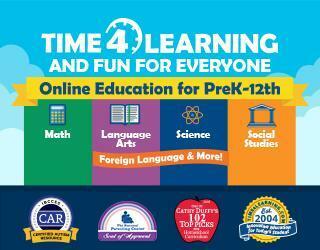 Online homeschool curriculum for preschool to twelfth that includes access to an entire year’s worth of multimedia lessons, parent tools, and teaching resources– all provided within an automated system that grades lessons, tracks progress and keeps reports for homeschool portfolios. Low price. No contracts. Start & stop anytime! Get curriculum information.